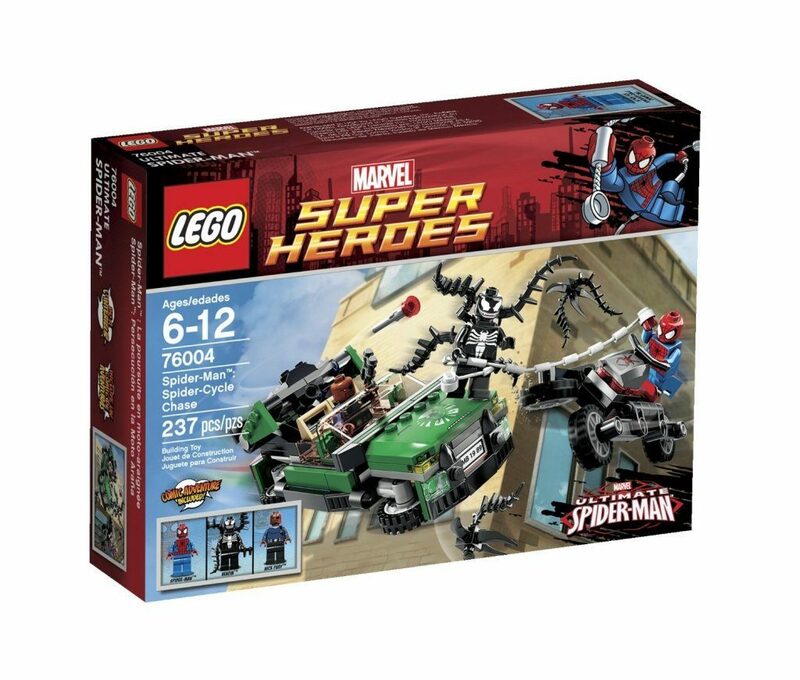 LEGO Super Heroes Spider-Cycle Chase $14.97 + FREE Shipping with Prime! You are here: Home / Great Deals / Amazon Deals / LEGO Super Heroes Spider-Cycle Chase $14.97 + FREE Shipping with Prime! Head over to Amazon and get the LEGO Super Heroes Spider-Cycle Chase for just $14.97, down from $19.99. Super Saver Shipping will be FREE with an order of $35 or more or get FREE 2-day shipping with Amazon Prime! Includes 3 minifigures: Spider-Man?, Venom? and Nick Fury? with a gun. Features Spider-Cycle and S.H.I.E.L.D. flying car . S.H.I.E.L.D. flying car features folding wheels and hidden flick missile. Spider-Cycle features folding wheels .